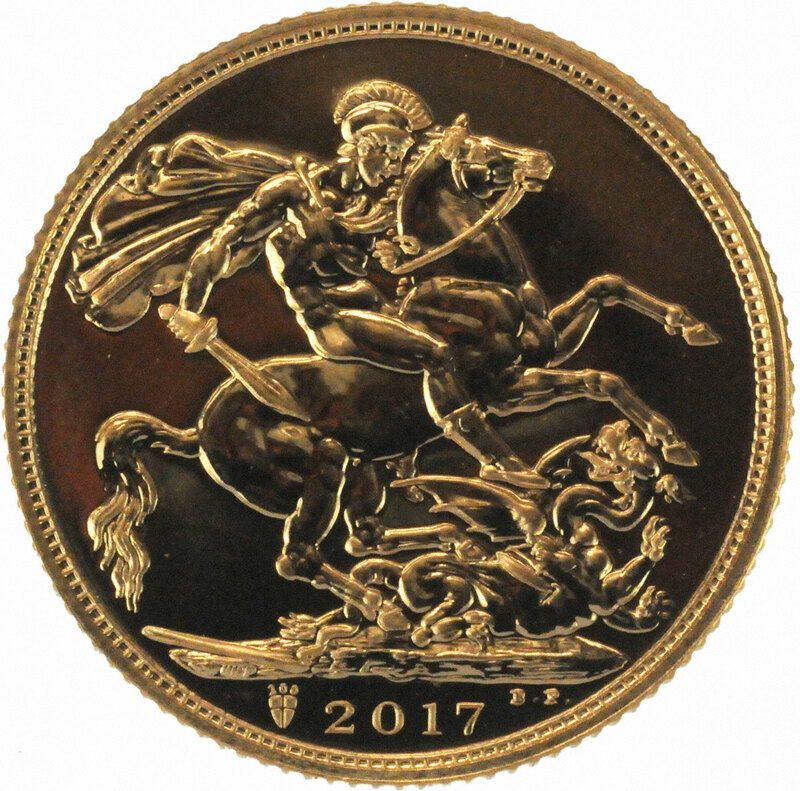 Uncirculated bullion grade 2017 full gold Sovereign. Price includes insured shipping. 2% discount on purchases using BACS. 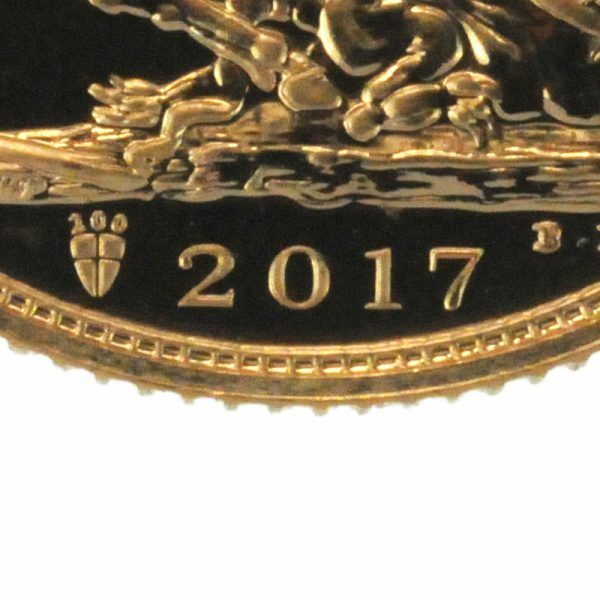 The 2017 gold Sovereign marks the 200th anniversary of the modern Sovereign. To commemorate the 200 years, this issue features an exclusive privy mark to the left of the date on the reverse face. 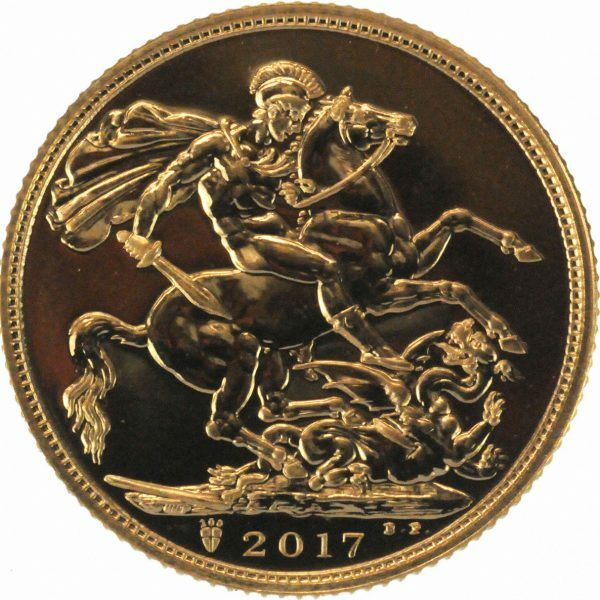 As with most other years, the 2017 gold Sovereign continues to feature the St. George and the dragon design, created by Benedetto Pistrucci. The coin’s obverse features the fifth definitive portrait of Her Majesty The Queen, designed by Royal Mint engraver, Jody Clark. 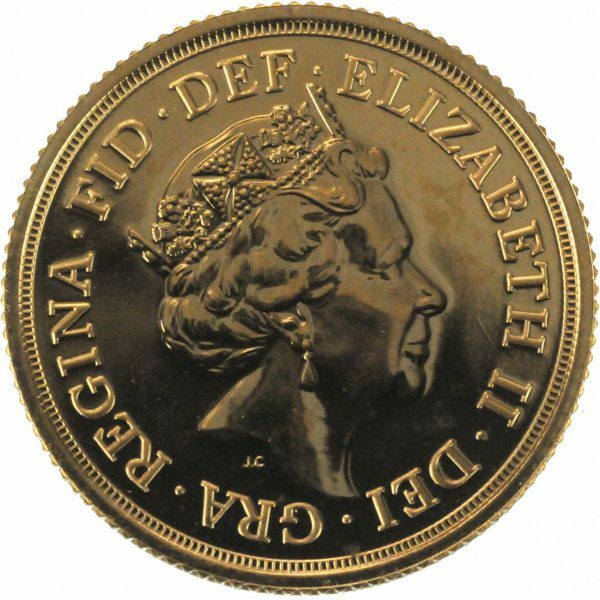 The modern gold Sovereign, first minted in 1817 is one of the most investable and recognisable gold coins in the world. 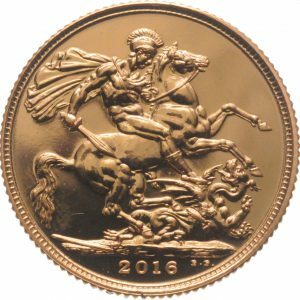 As with all other Sovereigns, the 2017 gold Sovereign is 7.98g in weight and has been struck in 22 carat gold. All silver and gold coins minted by the Royal Mint benefit from being exempt from Capital Gains Tax (CGT).